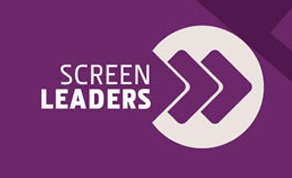 Screen Skills Ireland has announced that applications for Screen Leaders 2019 are now open for European and Irish screen companies. Screen Leaders is the strategic company development programme for the screen industries that can transform businesses. Is your company going through a period of change or growth? Do you want to internationalise your business? Do you need to re-define the scope of your business? Is it time to frame your company vision? If you are asking these questions about your business, then Screen Leaders is the programme for you and your company. Designed for company leaders working in film, television, animation, games, post-production, VFX, facilities, sales, distribution and exhibition, the programme, which has been running successfully for over 10 years, is funded by the Creative Europe MEDIA Programme and Screen Skills Ireland. The Screen Leaders programme will provide you and your company with the skills to lead and grow the organisation in a complex, innovative and evolving international marketplace, with a mixture of residential week-long workshops and one to one sessions from June to November 2019. When does the programme take place? Running from June to November, there are three modules, with ongoing one-to-one feedback between sessions. The deadline for applications is Friday the 19th of April 2019. Apply for Screen Leaders here. Screen Leaders boasts alumni from leading Irish and European companies like: Element Pictures, Cartoon Saloon, Brown Bag Films, Wildcard Distribution, Dublin Film Festival, Filmmore, Digital Cube, Hungarian National Film Fund, Cinenord, De Mensen, Alphapanda, Mikro Films, 4Film, Garagefilm International AB, Copenhagen Bombay, A Film, Platige Image and Göteborg International Film Festival to name but a few. In addition to this year’s main programme, Screen Leaders will engage more directly with alumni members via an alumni network and will host several alumni events for previous participants to share their progress as their companies have grown and developed since taking part in the programme.